Japan's SoftBank Group Corp (9984.T) said on Friday that a unit of the company will buy two firms that build walking robots from Alphabet Inc (GOOGL.O), which would add to the group's growing artificial intelligence portfolio. SoftBank's shares rose as much as 7.9 percent after the deal was announced, hitting a 17-year high. "Smart robotics are going to be a key driver of the next stage of the information revolution, and Marc (Raibert) and his team at Boston Dynamics are the clear technology leaders in advanced dynamic robots," SoftBank Group Chairman Masayoshi Son said in a statement. Raibert is CEO and founder of Boston Dynamics. SoftBank has embarked on an aggressive acquisition campaign to boost its research and development capabilities. The group is backing the $93 billion Vision Fund, the world's largest private equity fund, which seeks to invest in technologies expected to grow significantly in the near future, such as robotics and artificial intelligence. Son, Japan's richest man, describes the fund as essential for setting up SoftBank for a data "gold rush" which he expects to happen as the global economy becomes increasingly digitized. "They’re advancing the state of the art in independent robotics. 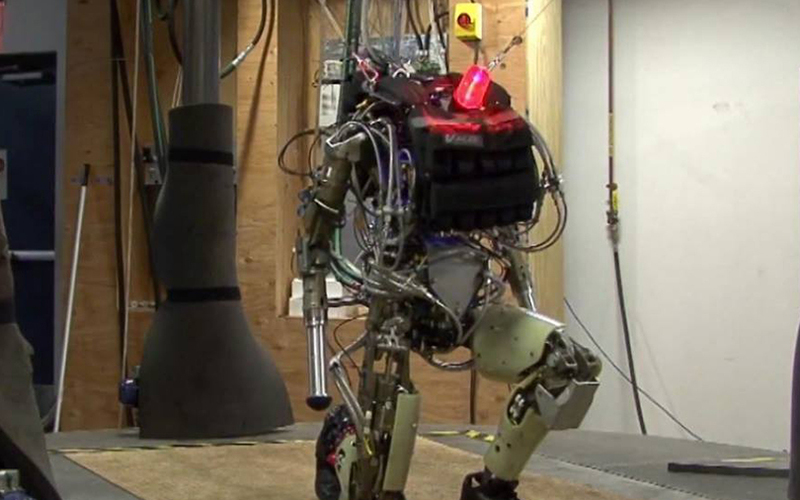 They are probably the leader in the U.S.," said Arnis Mangolds, a robotics expert who has worked with Boston Dynamics. "But the problem is it's not ready for prime time, and very few people have a tolerance for that."